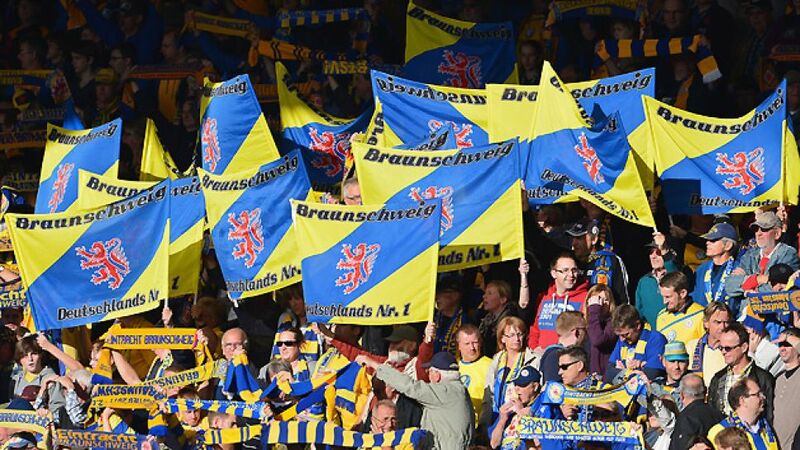 Braunschweig - The Bundesliga’s travelling support is awe-inspiring. Legions of fans journey the length and breadth of Germany, the European Union’s fifth-largest country, to sing their songs, wave their flags and support their team, and German fan cutlture has even been leaving its mark on the continent: Eintracht Frankfurt recently took a record 12,000 fans to Bordeaux for a UEFA Europa League game. One Eintracht Braunschweig fan, however, is leaving the rest of the Bundesliga’s travelling bands in his slipstream. Meet Christian Schlums, a lifelong Lions supporter who works at the State Office for Radiation Protection in Salzgitter, near Braunschweig. He cycles to every single away game his team play and his journeys so far have taken him the 271 km to Borussia Dortmund’s Signal Iduna Park in high summer, and the 594 km to FC Bayern München’s Allianz Arena in the dead of winter. It is not, however, a purely personal endeavour. Schlum’s efforts are for a local charity. “With the donations I receive, I’m planning to give as much as possible to a family centre in Salzgitter,” he explained, and has also applied for a donation of up to £500 (around €605) from a British-based website. For some, Schlum’s self-imposed challenge would seem crazy - by the time he’s finished, he’ll have travelled the distance from Braunschweig to Astana, the capital of Kazakhstan. “It was just a great opportunity to combine my active love of cycling with my passive love of football,” he claims, whose wife was apparently less than pleased with his decision to use the majority of his days off work cycling around Germany with his yellow-and-blue club scarf under his helmet. Others though, were far more gushing in their praise. Word of the marathon challenge found its way to the upper echelons of Braunschweig’s Eintracht Stadion, where Torsten Lieberknecht is an admirer. “We certainly wish him all the best,” said the club coach. Indeed, having competed in over 150 triathlons and eight Ironman competitions he might even run some of his players close in the bleep test.